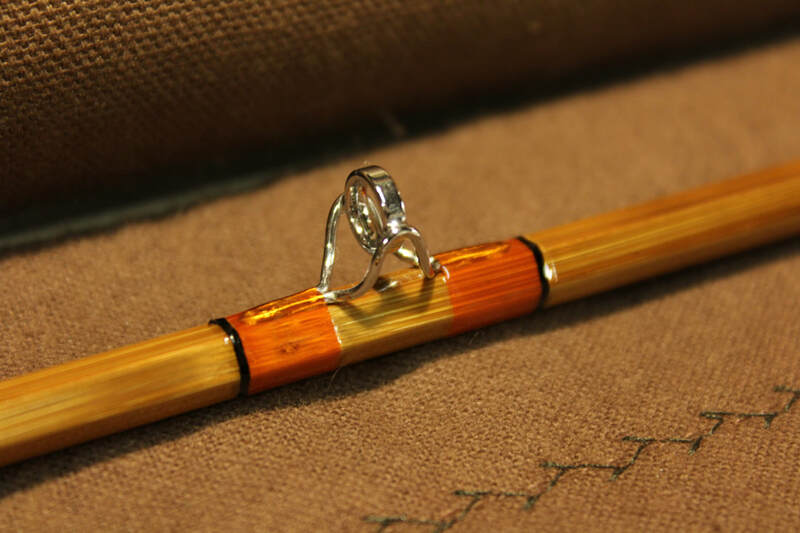 For those of you who want a great casting split-bamboo fly rod, but at an economical price, a Prudential rod is just the rod for you. 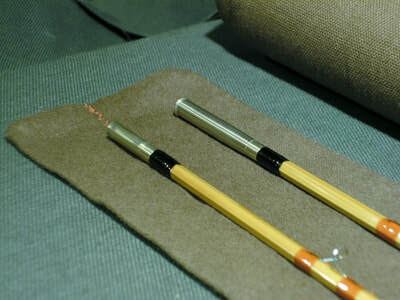 All rods in this line are 2 piece with 1 tip (2/1). They all feature snake style line guides, chrome stripping guides, & down locking reel seats with walnut spacers with high grade aluminum hardware. You can have any color of silk thread wraps you want. 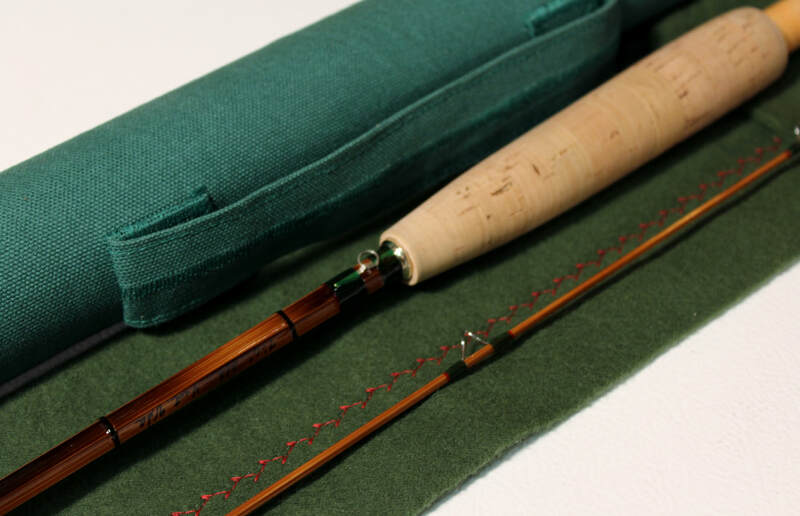 The rod shafts receive several coats of a hand rubbed oil-based finish. They are marked with a personal inscription of your choosing & the maker's (my) name, rod length, line weight, & serial number. 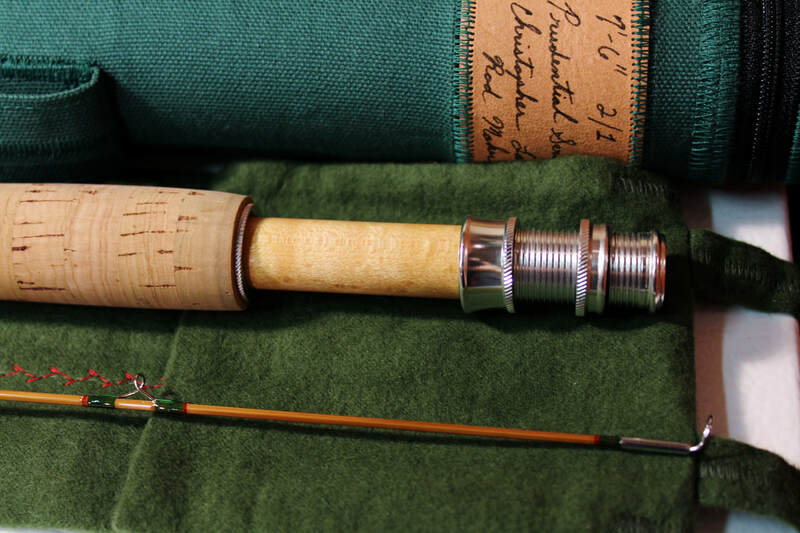 Each rod comes in a cotton flannel rod bag & a custom duck-cloth covered pvc rod tube. These rods are the perfect introduction to the world of bamboo for those of you who have been curious but don't want to spend thousands of dollars. I warn you though, you may never go back to synthetic rods!!! Price: $600 + $25 shipping & insurance.